The Business Ledger is a biweekly tabloid serving the general business news and management information needs for businesses located in DuPage County, suburban Cook County, Will County and Kane County in Illinois. The Palm Coast Observer is dedicated to serving as the leading and most trusted source of local news and information for Palm Coast and Flagler County. Each edition of the Palm Coast Observer delivers relevant and comprehensive news, information and features affecting Palm Coast residents, their neighborhoods and the community at large. In addition to The Orange County Register and 25 community papers, Orange County Register Communications publishes Sunday Preferred. Sunday Preferred is a distribution program that offers insert advertisers the ability to extend reach beyond paid Orange County Register subscribers on Sunday. Sunday Preferred is targeted distribution to households within 58 select ZIP codes within Orange County. Inserts are delivered inside a special Home and Garden publication. The Maritime Executive is the world's leading maritime business journal and is written for executives and managers at every level of the industry. Each issue of The Maritime Executive benchmarks organizational excellence along with executive interviews and featured articles concerning critical issues that impact the maritime industry. JaxFax Travel Marketing Magazine is a monthly print and digital industry trade magazine. It is read and used primarily by travel agents, both traditional and home-based. The newspaper industry may be struggling, but people are still turning to the Sunday editions when it comes to clipping coupons, despite the rise of digital media and coupon sites. According to consumer research firm Scarborough Research, coupon usage for household items such as groceries is up 24% since 2006. And although more than a fifth (22%) of these coupon users are using digital media such as email, text messaging and the Internet to get coupons, the primary channels continue to be Sunday newspaper inserts (49%), in-store coupons (43%), direct mailings (33%) and in-store circulars (26%). "If you look at FSI's, they've been the dominant source of coupons for a long time," said Brian Condon, Executive Vice President for Commercial Development for Scarborough to Marketing Daily. "To chip away at a share of that is [hard] because it's such a large base." At the same time, the electronic coupon users, which Scarborough calls "Digital Deal Seekers" (defined as adults who live in households that usually obtain cents-off coupons through email, text messaging or Internet sites or those who went online for coupons in the past month), are more likely than average adults to patronize local businesses such as florists, malls, restaurants and day spas. 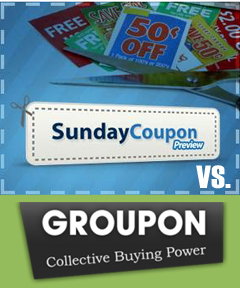 Some of that can be attributed to the "Groupon effect," in which people seeking deals are also getting offers from group coupon sites. Or they could just be avid shoppers, according to Condon. "What we found was that the people who fit into this category were more active shoppers and supporters of local businesses," Condon says. "Plus, people that are redeeming coupons are people who are active shoppers and have an intention to use coupons." Business-to-business media continue to have a healthy appetite for social media tools. 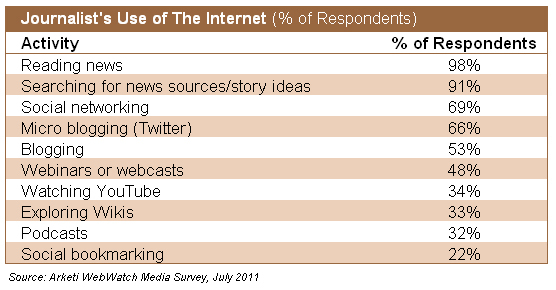 The "Arketi Web Watch Media Survey 2011" found that 92% of journalists have a LinkedIn account, an increase from 85% in 2009. In addition to LinkedIn, 85% of journalists are on Facebook, up from 55% in 2009, and 84% use Twitter vs. 24% in 2009. It comes as no surprise that more B2B journalists are participating in social media sites, says the report, especially LinkedIn. Journalists are constantly seeking industry sources for story ideas and LinkedIn provides an online outlet for them to research and connect with potential sources. Business journalists subscribe to the most popularly used social media tools. 64% of journalists spend more than 20 hours a week online, and 21% report more than 40 hours of activity each week. 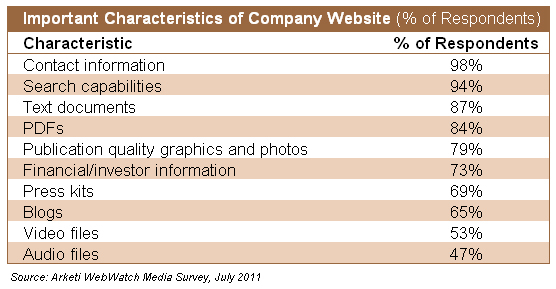 82% of journalists say companies without a website are less credible. 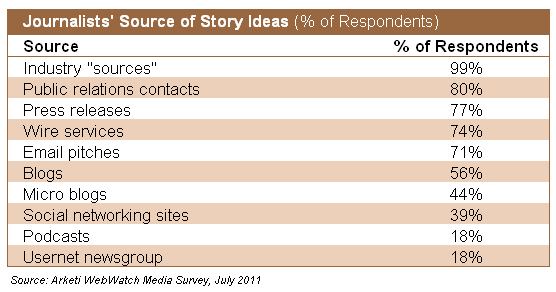 When unable to reach a company source, 81% of business journalists turn to an organization's website. Arketi Group regularly conducts surveys on relevant industry topics and publishes these findings to help B2B PR and marketing professionals. A copy of the survey reports can be requested. Click here for additional information from Arketi. What is an Integrated Database? An integrated database is a publisher database in which there is a unique record for each individual containing all of the information related to the products served, demographic data, subscription information, etc. "Products" may include e-newsletters, webinars, etc. What is an Integrated Database Audit? 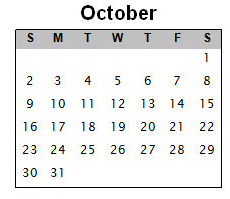 An Integrated Database Audit is a review of the publisher's database for a particular date within the audit period. The audit reports the Total Unduplicated Reach and Total Duplicated Reach. The Total Duplicated Reach is the sum of the number of recipients of all products associated with the publisher's brand. The Total Unduplicated Reach is the number of unique recipients of publisher's products. Business/industry classifications or other subscriber data may also be analyzed, as applicable. Why an Integrated Database audit? The purpose of an integrated database audit is to allow publishers to demonstrate how many qualified readers are engaged with a brand through print publication, online, e-newsletter, events and other channels. It allows the publisher to demonstrate not only the gross number of contacts, but also the number of unique interactions with the brand. What are the guidelines and required records? To learn more about integrated database audits, please contact Verified at 415-461-6006. � 2011 Verified Audit Circulation.